It was a windy Wednesday and I had taken my running stuff to work, there was no time to head home first, this race was out North. (OK it wasn't really out north, but it was in the Northern Suburbs). I was off, with my 40+ win last week I know if I could pull off another victory today I would have a shot at the series title! Yes we had 300m of tar at the start (and finish). That is me in the yellow trying to get a lead before the down hill. as we crested the top I had some young upstart with me, then over the top he let loose... Then Ake also came past, also flying. Just a point here I was running at 3:10 /km this madness ended after 400m and things returned to normal! I ran down Ake and the young upstart, but Nic also pulled up to the front, as did Allan (my 40+ competition) Eddie and 2 Zimbo's... I was working hard really pushing the the next couple of km's. Yes it was still down hill, but if I let them get ahead I might never make it back into the picture. I am so jealous that you get to race so often. Great job! 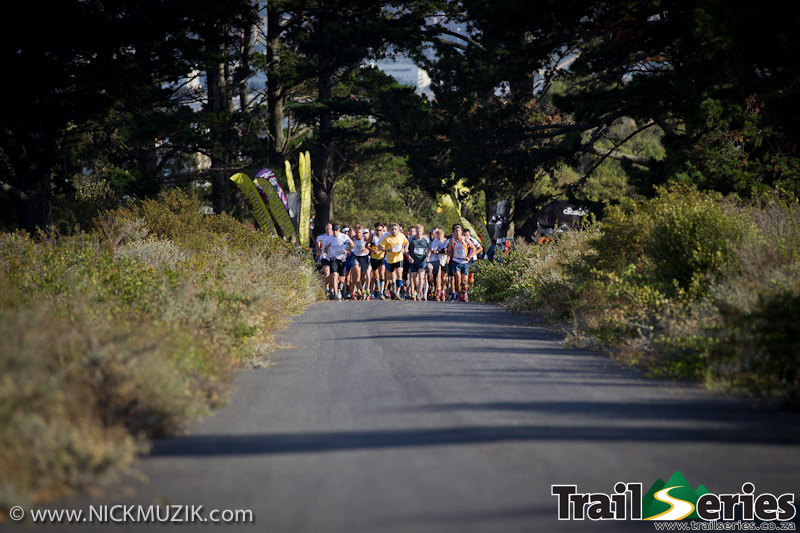 Wait for it I run a half in Saturday and the last in the trail series on Sunday. YOU need to get fit?! Where does that leave the rest of us? My empathies to your wife - although I'm a little jealous that she's allowed 5k every second day. I hope she heals soon. 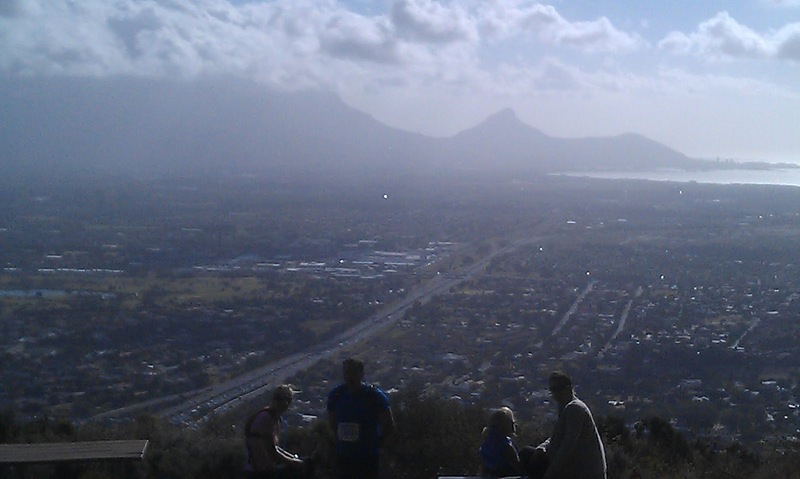 I grew up in Bellville and did my first trail running training runs on Tygerberg hills. Unfortunately I live in PE now and haven't had a oppurtunity to race there. When I trained there I always thought about the home ground advantage I would have should a race be held there. Ai, maybe next year. Another exciting report, though you'll be a bit niggled Allan went past on the final climb. Are you still in with a chance of winning the series - after you've 'got fit'?